For over 50 years, the Charlotte Motor Speedway has set striking standards for the motorsports industry providing impeccable ambience for the comfort of race fans. The facility hosts three principal NASCAR events annually, including the illustrious Coca-Cola 600, the Sprint All-Star Race, and the Bank of America 500. In 1992, the speedway developed into the first contemporary speedway to host night racing. The design and construction of speedway is by Bruton Smith, who alongside his good friend and business partner inaugurated the facility in 1959. In pursuit of retaining high customer satisfaction, Smith built the speedway in concurrence with international standards. The venue has been repeatedly renovated over the years in turn to increase comfort level for its patrons. With additions such as luxury suites, modernized restrooms facilities and easy to access food stands, the Charlotte Motor Speedway continues to determine latest industry standards. The complex covers over 2000 acres of land, with a 2.25 road course and a quad oval 1.5 mile speedway which further includes a one of its kind, all concrete 0.25 mile drag strip that is of four lanes, the ZMAX Dragway. The ZMAX dragway itself possess 40 luxury suites and 40000 grand stand seats and is famous for hosting the National Hot Rod Association events. Adjacent to the drag strip, is a clay oval dirt track. Comprising around 14000 seats, the Dirt Track and Charlotte is home to the World of Outlaws Series. To be a part of their various astounding offerings, buy your Charlotte Motor Speedway tickets at best prices today. The average Charlotte Motor Speedway Tickets price will cost you between $52 and $123, if you are looking for the cheapest seats then catch the event being held at the Charlotte Motor Speedway, Concord on 26/04/2019. The average ticket will cost you the highest on 18/05/2019 at the Charlotte Motor Speedway, Concord. Minimum get in price is for Charlotte Motor Speedway Tickets is $30 for the event being held at the Charlotte Motor Speedway, Concord on 18/05/2019 , there are some venues that have a much higher get in price, for instance the cheapest seats at the Charlotte Motor Speedway, Concord on 24/05/2019 will set you back $56. Is there a detailed charlotte motor speedway tickets seating chart on your website? Where can I get details about charlotte motor speedway ticket packages on offer by you? Is charlotte motor speedway ticket office a reliable source to get tickets from? Yes, we have a detailed seating plan uploaded on our website. 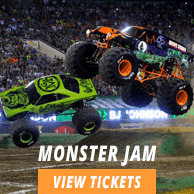 All you need to do is log on to our homepage, go through the seating map and book your Charlotte Motor Speedway Tickets at some of the best prices in the market and that too for the seats of your own choice. For all the details you need about Charlotte Motor Speedway Tickets and the packages being offered by us, please log on to our website or call us on our toll free number in case you need any further assistance. Yes, you can get your Charlotte Motor Speedway Tickets from the ticket's office with complete peace of mind.